A miracle that brought a child's life back from fatality. A brief introduction to the case: Through this case report, we are going to discuss the case of an oesophageal stricture that left a hairbreadth escape between the life and death of a little kid. In fact, this case was so closed to the fatality that appeared to be a hanging sword on the patient's head every time. His parents had spent a lot of money on his treatment. They had paid a good amount to a famous nursing home of the city. In spite of spending the money with both the hands, the poor parents couldn't get satisfactory result regarding their son's treatment. Here under we have laid down a true report of this complicated case, which will be enough to draw the curtain from the eyes of those persons, who are the blind-believers of allopathy having an inadequate and narrow outlook against homoeopathy. We are sure such persons, who laugh at, and make fun of homoeopathy won't remain without appreciating the miracles of homoeopathic drugs after coming across this case report. I am talking about the case of a child, aged three years, who had been given a teaspoonful acidified liquid (that is generally used to clean the ornaments made of silver & other metals) in place of a cough syrup by mistake due to half waking state of his mother in the mid-night. As soon as, the liquid was spooned the mouth, child began coughing so loudly that all the liquid fell down, however, a slight part of that liquid entered his oesophagus that made him unconscious. The child was hospitalized at once, where he had been treated for a week under the supervision of highly qualified physicians and surgeons and thereafter, the child was relieved instructing his parents to bring him there at for weekly check-up. 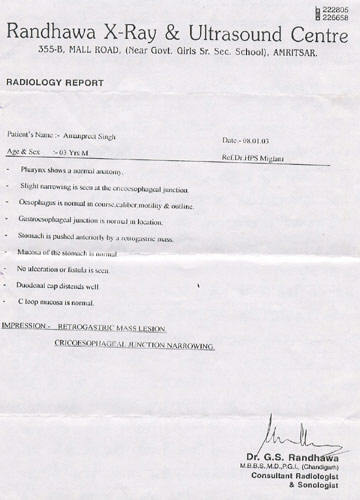 However, many a check-up from different angles as well endoscopies had been done, but no abnormality was found there. Only the radiology report showed that the stomach was pushed anteriorly by a retro-gastric mass and secondly, cricoesophageal junction was narrowing. Both these conditions, though, outwardly shown of no importance in the report-sheet, were proved much troublesome to the child that was unable to swallow a single morsel of bread, even the liquid was also very hard to be swallowed for him. Although, the condition of the deformed parts, clearly visible to every one e.g. ulcers on the tongue and inner cheeks all that caused by acidified liquid had been, almost, appeared normal but invisible constricted state of oesophagus was still beyond control of the expert physicians and surgeons. They were unable to think what might be done. his third birthday with his family, before mishap (accident). In such a position, no physician/surgeon was agree to assure the parents regarding successful treatment of their son except only consolatory words like "We are doing our best.” Ultimately, an expert surgeon of the very nursing home, in which the child was first time admitted and treated, began to dilate his oesophagus with some surgical instruments as efficaciously as he could do. This oesophageal stricture was so strongly effective that it used to take hardly two weeks to reach its former condition. Thus, the technique of dilating his oesophagus had been repeated more than four times, and ultimately that technique too, seemed to fail due to intolerable condition of the child. Last time, while dilating the oesophagus began to bleed that made the child too serious. The parents were too anxious, they consulted so many doctors everywhere but no one was ready to tackle the case. One of their familiars advised them to consult a renowned and experienced homoeopath, so they were compelled to knock the door of homoeopaths and dozens of homoeopath were consulted but no satisfactory result came out. Even a renowned homoeopath of the city refused to attend their child saying that no homoeopathic remedy could be effective in the case of their son; because that case was in need of surgery, so he referred this case to an eminent surgeon of the capital (Delhi), whom he knew for a long time. However, the patient's guardians did not prefer his suggestion, but they kept on searching for an expert doctor of either therapy, who might handle their child’s case successfully. Mean while, they came across me and told all about the case. First, I also refused to attend this complicated case that had been rejected by the renowned doctors of the different therapeutics; later on, my heart melted and I agreed on a condition that no medicine of any therapy would follow my well-selected remedy and this instruction would be, strictly, followed by them. 4. Unable to swallow a morsel of bread, even in liquid form too like water, milk, juice etc. Family Background: The child belongs to a rich family. His father is a famous jeweler of the city, Qadian, district: Gurdaspur (Punjab). 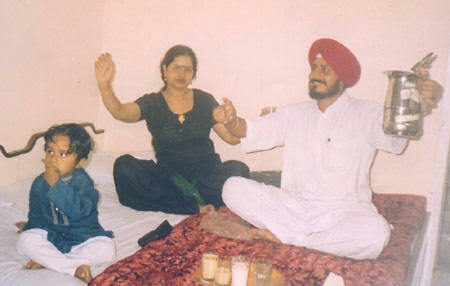 His grandfather Dr. Ranjeet Singh is an allopathic medical practitioner. He has three sons. All of them have their own and separate business in the city, but they still dwell in a joint family. The entire family is well to do. 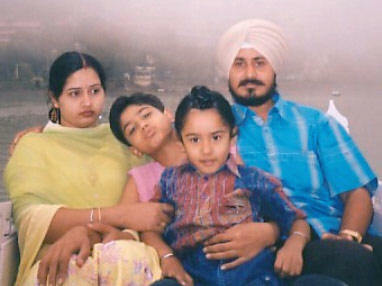 This child belongs to Mr. Gurvindar Singh, the youngest son of Dr. Ranjeet Singh. Treatment: the child was brought to me on 28 February 2003, just two months after the incident. I watched him carefully. During investigation, I picked out all the above rubrics scattered around the patient. I started the treatment of that child with Arsenic Alb. 200, which reduced his restlessness and he got a sound sleep that night, but other problems remained as it is. After waiting for the result three days later, I repeated Arsenic 200 that gave no relief at all. On the other hand, patient’s condition was growing worse because his esophagus was tending towards narrowing. The term of dilating the esophagus was about to reach its end. Only three days remained out of two weeks. The little patient had left taking any thing else. This time was rather troublesome to me than the patient; therefore, wasting not a bit of time I administered the child Hydrophobinum 1M, a well-selected remedy that made patient's condition better after he expelled a lot of saliva out of his esophagus. Next morning the child longed for milk with a piece of bread, however, he took a little bit of the bread but he drank milk in a good quantity. Every one was much surprised to see the miraculous result of this remedy. Thenceforth, Hydrophobinum 1m (followed by no other medicine) had been given every week for one month and thereafter; the term of its repetition was extended up to a fortnight. Thus, within a period of two months the parents got their son much improved. He began to swallow the edibles of every kind, whether those were solid or liquid. His mental state had been improved too. At present, he is running in fifth year having a sound physic and sound mind. However, he is still under my treatment but the actual remedy 'Hydrophobinum' has not been given since last six months. The placebo is being given in place of Hydrophobinum, a miraculous remedy that brought the child's life back from fatality. I would like to draw attention of the readers towards the most remarkable thing that no recurrence of esophageal stricture came into existence since the child is under my treatment.